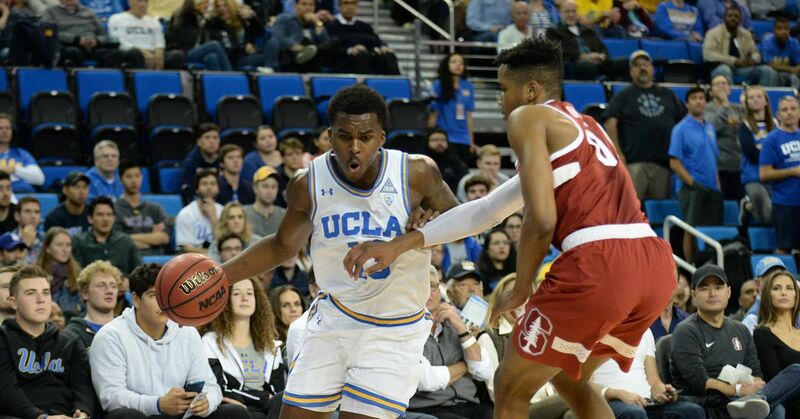 Tonight, the UCLA's basketball team visits Maples Pavilion in Palo Alto for a game against the Stanford Cardinal at 7 pm PT. place in the conference and the winner of tonight's game will have an opportunity to move up in the standings, possibly as high as fourth place. That, of course, is where both teams are hoping to finish the season as the top four teams in the conference standings will earn a first round bye in the Pac-12 Tournament. The loser will fall to 6-7 in the conference with just five regular season games left before the tournament. It will be pretty tough for tonight's loser to claim a spot in the top four. Listen to the game here on BN! This season, we are proud to, again, have today's audio feed for everyone who opts to use the TuneIn player embedded below. For optimum results, start the audio feed then pause your DVR and sync them up together. Tonight's game is on ESPN2 with Dave Feldman and Corey Williams. If you would prefer to list to Josh Lewin and Tracy Murray call tonight's game instead, you can do that right here. This is your UCLA Bruins at Stanford Cardinal game thread.